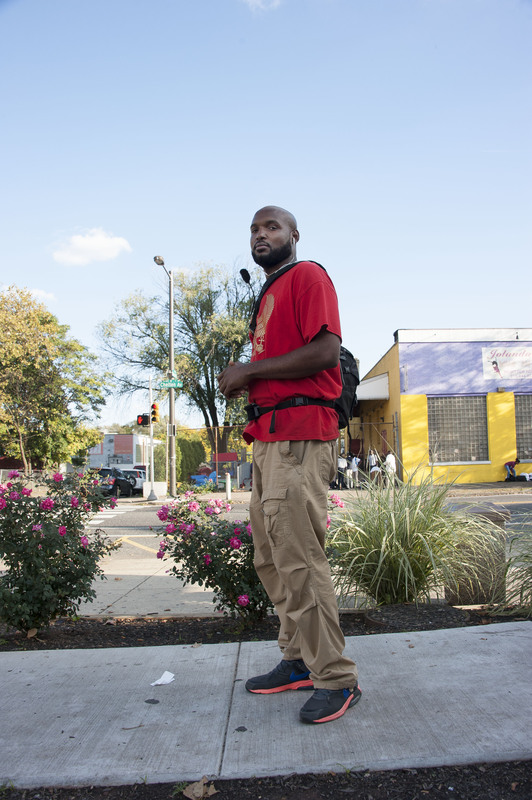 Richard Ramson aka Ram, rapper and performer, walks through Germantown with the Beagle. Ram and I met in front of Trader Joes and came to talk about art and performing a few times. He sells One Step Away magazines there*. I bought his cd (and the newspaper of course) and he’s commenting Germantown Avenue for us. Wandering through the area Ram gives us a view of what he calls the 3 dimensional life as opposed to the 4 dimensional life related to the things he observes in the street. An interesting thought when you realise we will be listening and looking at his trajectory in the replica world of Goolge Earth. So walk with him* as he reveals his view on living a good life and buys a tuna hoagie. That does sound tasty. * Tracks will be online in the months following november 23rd.